Publisher: Angus & Robertson, London, 1981, Hardcover with Dustjacket, 219pp.,22 chapters, photos, notes, bibliog, Index. Condition:Crisp black cloth-bound hardcover with gilt title to spine, STRAIGHT, TIGHT & CLEAN with no inscriptions in Very Good Condition, with marks to page edges in a GOOD DUSTJACKET, unclipped, with two very minor closed tears. 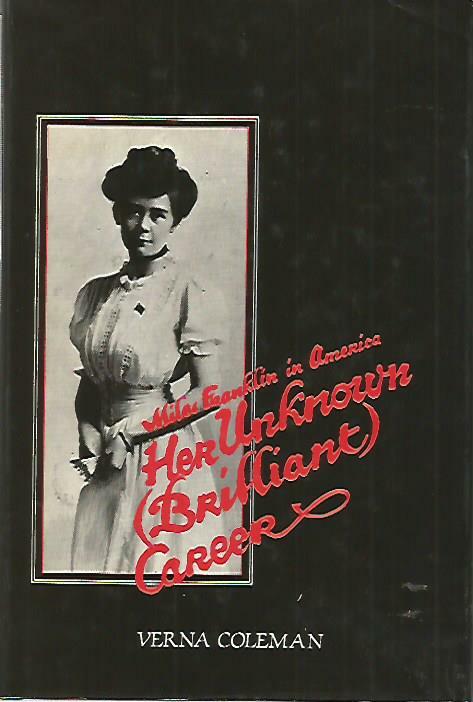 Description: With the publishing of her first book, 'My Brilliant Career' in 1901, little or no success followed. Then in 1906 she sailed for America and became active in the National Women's Trade Union and editorship of 'Life and Labor'. Then London and Australia. 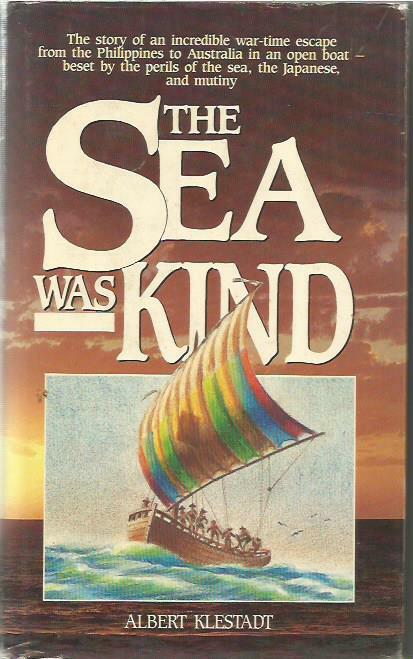 Publisher: First published in 1988 by Kangaroo Press, Sydney. ISBN 0864171854. Illustrated b/w frontispiece, maps, b/w plates to centre. Condition:Crisp blue cloth-bound hardcover without spine title (as issued), STRAIGHT, CLEAN & TIGHT in VERY GOOD CONDITION with no inscriptions, in a rubbed but unclipped, sturdy & intact GOOD DUSTJACKET with edgewear. Description: The German author was a refugee in Japan before WW2 and when war came escaped via the Phillipines and then to Australia by sailing there with a crew of Moros in an open, locally-built vessel. He had no maps nor sextant and the journey took 47 days. Publisher: Doubleday, Sydney, 1983 FIRST EDITION, map, family tree, notes, 508pp hardcover 8vo with dj. Condition:Crisp black cloth-bound hardcover with silver title to spine, STRAIGHT, TIGHT & CLEAN in GOOD CONDITION with an inscription (name) in pen to the frenpr. and slight age-toning to crisp pages. Description: The fifth in the series of 12 historical fiction tales about the founding of Australia. Publisher: Doubleday Australia, 1981, First Edition, hardcover 8vo with dj. maps, 539pp. Condition:Crisp black cloth-bound hardcover with silver title to spine, STRAIGHT, TIGHT & CLEAN in GOOD CONDITION with no inscriptions and slight age-toning to crisp pages. The dj has been protected in a professional, non-adhesive plastic cover. Description: The third in the series of 12 historical fiction tales about the founding of Australia. Title: KOKODA by Peter FitzSimons illustrated Edition 2008 Hc Dj over 100 photos WWII war with Japan. New Guinea. Publisher: Hachette/Hodder revised & illustrated 2008 edition, hardcover 17 chapters, epilogue, bibliog., notes, index. Condition:Green cloth-bound hardcover with title to spine, STRAIGHT, TIGHT & CLEAN in GOOD CONDITION with a bookplate over an inscription to the front paste-down,ROBUST and INTACT in a GOOD unclipped DUSTJACKET with minor rubbing & edgewear. Description: Kokoda was a defining battle for Australia - a small force of young, ill-equipped Australians engaged a highly experienced and hitherto unstoppable Japanese force on a narrow, precarious jungle track - and defeated them. 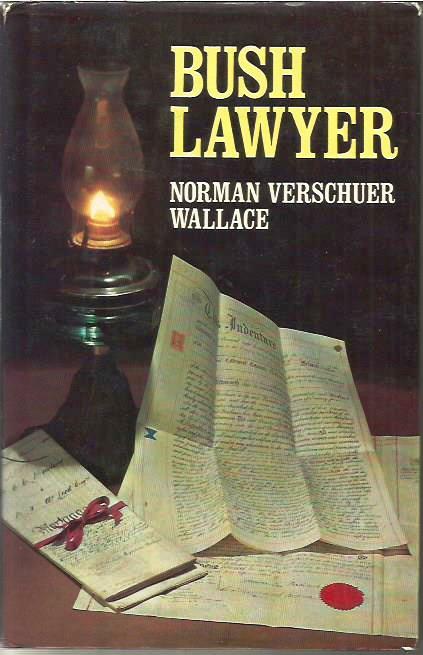 Title: Bush Lawyer- Norman Verschuer Wallace, 1976 1st edition,Australian local history Naracoorte,South Australia. Publisher: Rigby, Adelaide, 1975, First Edition, Hardback, DJ, b/w illus., 181pp. Condition:Crisp green hardcover 8vo STRAIGHT, TIGHT & CLEAN in Very Good Condition with an inscription to the front paste-down, with an unclipped GOOD Dustjacket with edgewear & rubbing. Author: Louise Tiffany Daley with foreword by Prof J S Ryan (U of NE, a biography of the author and new historical photographs. Publisher: Richmond River Historical Society, Lismore, 2011, REVISED SECOND EDITION, 200pp., maps, b/w photos, foreword, biography, 11 chapters, bibliog., Index. Description: First published in 1966, the definitive history of the Richmond River district of Northern NSW. A revised addition with a new biography of Daley by local historian Robyn Braithwaite and twice as many historical photos. Funded by RAHS and Arts NSW. Publisher: Hale & Iremonger, Sydney, second printing by Uptin Print of Port Macquarie, June 2002, 28 chapters 7 appends, index, 242pp, b/w photos, drawings, maps. Condition:A crisp large paperback, perfectly bound, no inscriptions, in VERY GOOD Condition with slight cover rubbing. 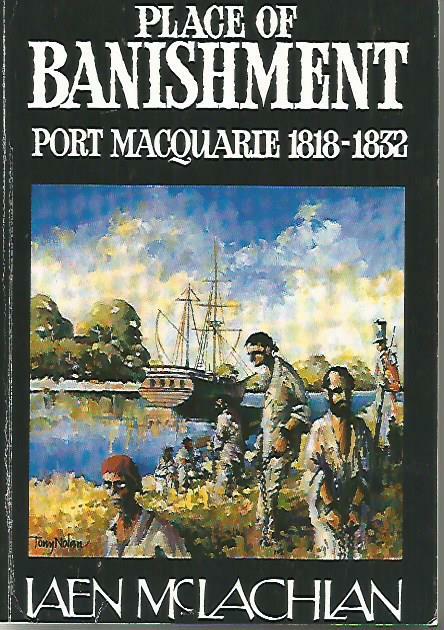 Description: A History of the Port Macquarie region of coastal NSW from Aboriginal occupation through to Penal station history and later settlement and development. Description: No. 5 features WASH TUBBS and the $16,000 Trip (7/4/1931 to 1/9/1932) No. 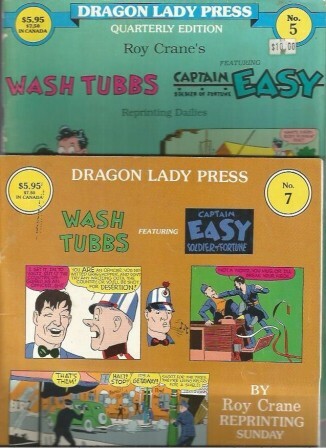 7 features WASH TUBBS The First Roy Crane Sundays (12/8/1935 to 12/13/1936) All comics in black & white format. Condition:Two Green cloth-bound Hardcovers with slight rubbing to spine & corners, illustr. eprs, CLEAN & TIGHT in GOOD CONDITION, name to frepr, with two unclipped GOOD DUSTJACKETS with a couple of small repaired tears & slight edgewear. Description: Vol. 1 has 384 plants illustrated and described in the book were chosen from Margaret Hodgson's collection. Vol 2. continues the work with another 350 plants.